Welcome to Funny Blonde. Yes, blondes can be funny — can you process that? (play on words, my hair is currently overprocessed). I’m Marié Lake, comedic actress, burlesque singer, and filmmaker. Follow this blog as I face the indignities of being a woman in the world of comedy, show business in general, and life in Beverly Hills (adjacent) when you are not a soccer mom and not rich. I was married to an attorney, those were 4 very long months. Now I am trying to do things…differently. Before I go on about this date, just wanted to remind you I have two cool shows in November. (Busy shooting web series in October). O.K. so I caved and decided to try Millionairematch.com. Actually an accupuncturist told me that my life would go better if I would just meet a millionaire to fund my cabaret shows as opposed to, you know, working at it. She was very New Agey and liked for me to have a more expanded view of the universe. Plus she is married to a millionaire so of course wants a buddy. Anyhoo, the enthusiasm for that idea lasted only a week or two. I felt misled from the beginning. First, someone whose handle was “glamfabulous” contacted or “winked” at me. His profile was full of cooking references and he lived in West Hollywood and I think he may have been a little confused about what he was looking for. Then a nice doctor contacted me and asked me to take a hike up Temescal Canyon and I had to remind him that 1)my Swedish/Irish skin cannot handle a hike and 2)I don’t disappear in canyons with strangers. My mother taught me well. So after a week of trying to get him to suggest something at more than 10 minutes notice and something I might actually enjoy, he finally asked me to go out to a Japanese restaurant. I overlooked that his profile mentioned he did not want a “control freak woman” because free salmon was involved and he seemed nice enough. However, within 10 minutes of meeting him, he told me I was a typical West Side woman because I ordered brown rice and then said repeatedly “I don’t know if I can get past this brown rice thing. You are really difficult.” This was the first of many observations that began with “you West Side women…” like I was part of a race. Then he managed to interrogate me as to why as an actress I don’t live in “Hollyweird.” Then of course the obligatory “how long have you been at this?” with my favorite follow-up “when can I see your act, because I’m a really tough judge of what’s funny.” So as much as I wanted to take my clothes off right there I opted for leaving early and performing at the Westside Comedy Theatre to a cool, literate audience. So the evening was a success after all … and I managed to get free salmon and not ruin my digestion with white rice. –written evidence that I am very clear about what I do with guys who say they want to get to know me. — written evidence of exact text from telemarketer/drummer I was seeing. “I’m a performer,” I respond. “You own a store of some kind? Not sure why I should worry. I would worry if I thought the iconic club where legends like Richard Pryor played was an actual storefront. So, as we say in the sales world, I disqualified him. comic as if that is pertinent when it is my night to shine, really? girl and didn’t complain. After all it’s one thing to want support, another to be classic narcissist on the first date. You have to reveal that gradually. Here is a little shameless self-promotion, from my DVD “Real Housewife of Comedy”. Hi there. I am running a campaign to give back (when you have a rent-controlled apartment and flatiron for your hair, hey it’s time). So I have chosen to give 15% of the proceeds from my DVD “Real Housewife of Comedy” to Aids Project L.A. 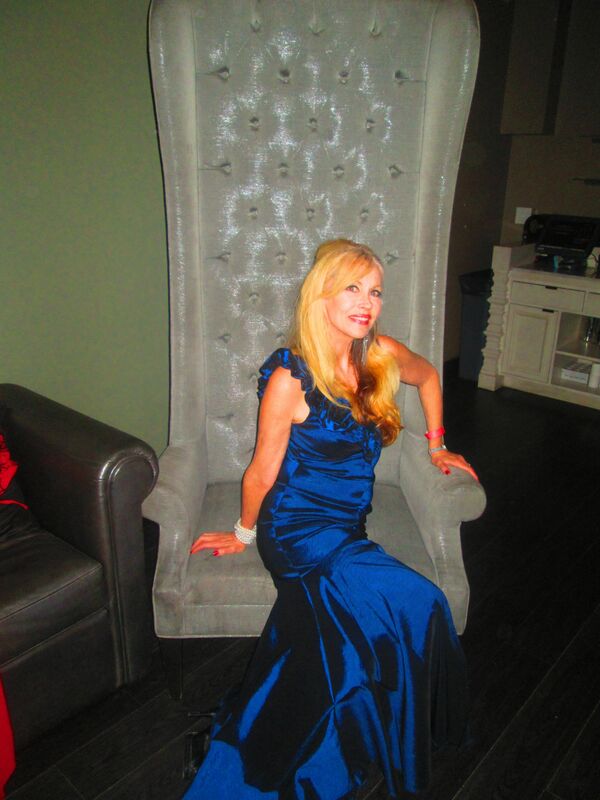 I was at their Oscar Viewing Party and it was so moving when “Dallas Buyer’s Club” received those deserved awards. Now is your chance to touch the lives of Aids Patients and enjoy some out-of-the-box comedy. APLA is dedicated to improving the lives of people affected by HIV/AIDS disease, reducing the incidence of HIV infection, and advocating for fair and effective HIV-related public policy. APLA is one of the largest non-profit AIDS service organizations in the United States. Its activities include providing bilingual direct services, prevention education and leadership on HIV/AIDS-related policy and legislation. Watch this page to see this how much we raise. My goal is $5000! Hi there, what can I say? I’ve been away for awhile because I was crashing awards parties, going to Fashion Week L.A. and gigging at clubs throughout the Southland, including Mbar and Flappers. The big news? We have funding to shoot “Trophy Life” — the TV pilot. And we have a name comic to guest star. More on this later. Blonderella Unveiled and More February Shows! 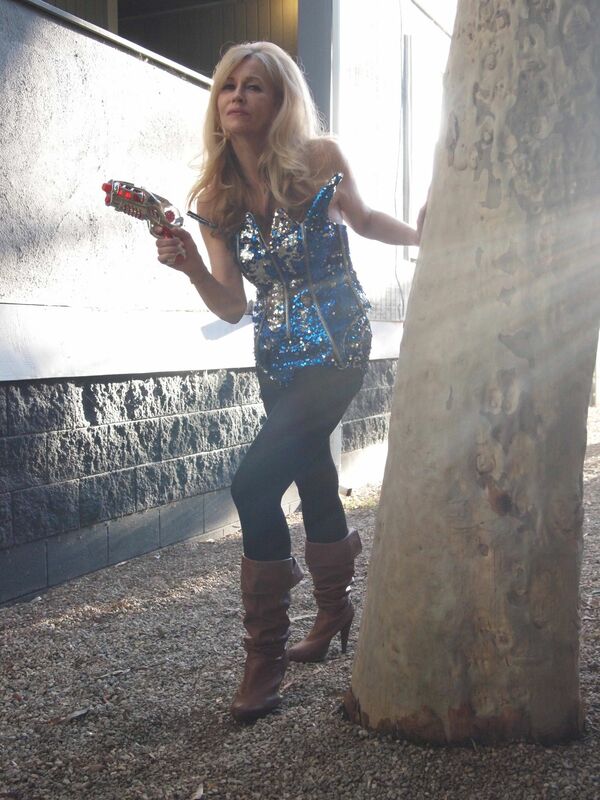 Yes, my first “Funny Blonde” photo shoot icon is Blonderella. See attached pix. A fan at the shoot said “thank your parents for your gorgeous looks.” But I just thanked my Beverly HIlls dermatologist, hair person, and M.A.C. lashes. Enjoy! The next nonstop flight of first-class comedy departs soon! No cover charge. Food and drinks available for purchase. Comedy Store Belly Room 10 p.m. Happy Holidays…time to give back! Real Housewife of Comedy DVD! As you know I have a history of contributing to the gay community, mostly by going to the prom with them. That’s when I decided to launch the charity special “Real Housewife of Comedy” in support of Life Group L.A., a coalition of people dedicated to the education, empowerment and emotional support of persons both infected and affected by HIV/AIDS. Next is the launch of “Cabaret Reality” at Flappers Comedy Club in Burbank. Ten percent of proceeds go to Life Group. Cabaret Reality was a Smash! Thanks to those of you who came out to Second City to catch an entire evening of Cabaret around Reality TV. Dancers Katie Rose Cunin, Brittany Samson and comic Rick Overton were brilliant. Show will be moving to Flappers and then, yup Edinburgh. 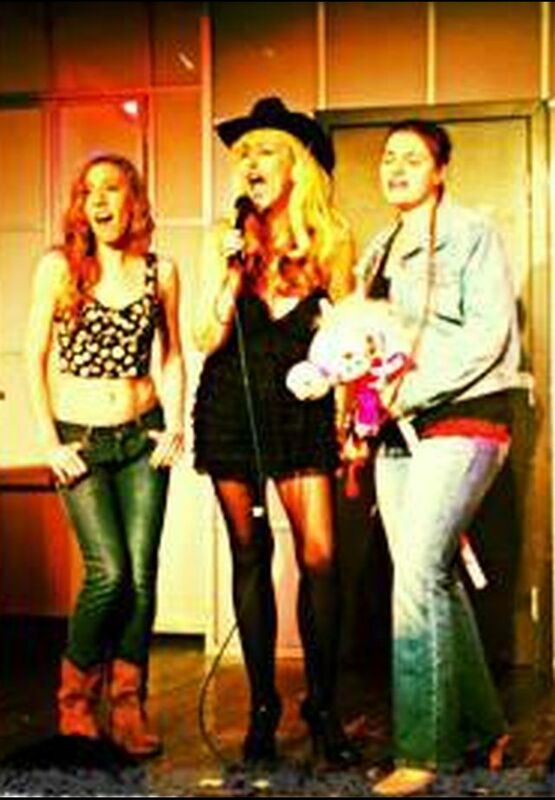 In the meantime, have dates at Flappers Burbank on June 20 and Monsoon (Santa Monica) on June 27. Hi welcome to Funny Blonde. Yes, blondes can be funny — can you process that? (play on words, my hair is currently overprocessed). I’m Marié Lake, comedic actress, burlesque singer, and filmmaker. Follow this blog as I face the indignities of being a woman in the world of comedy, show business in general, and life in Beverly Hills (adjacent) when you are not a soccer mom and not rich. I was married to an attorney, those were 4 very long months. Now I am trying to do things…differently. for not understanding directions of where to tow my car. Not a good idea to piss off your only ride on a Sunday night. Then I lost patience with two Time Warner Cable installation guys to the point of being told that I was violent. To them a woman speaking in a loud voice is considered violent. But that is another story. The good news is I had a good date, a good performance at the store that sells comedy and very little discussion of Lenny Bruce or Robin Williams or some guy named Shecky that men always like to bring up. 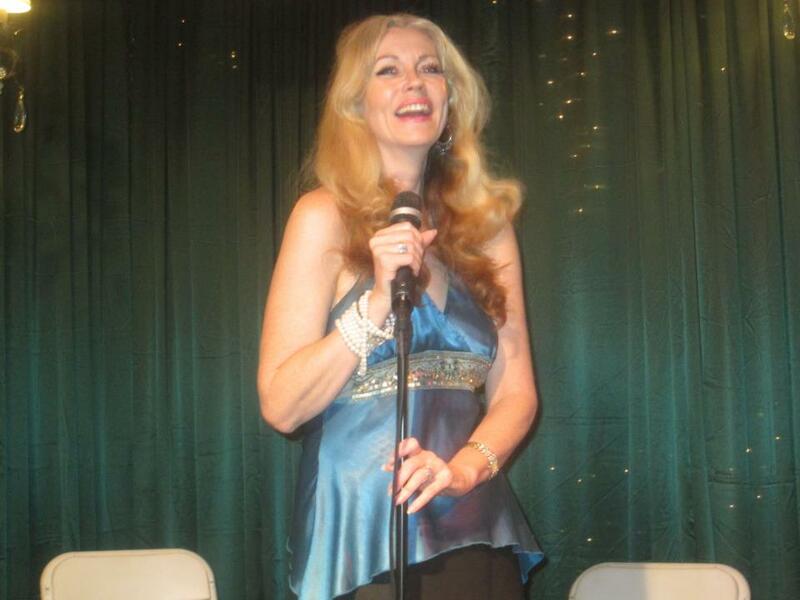 From my comedy DVD and “Newfangled Opry” vaudeville show…singing the Trophy Wife Blues. Catch the Newfangled Opry monthly at the Club Los Globos in Silverlake — a vaudeville show with songs, sketches, comedy and lots of hipsters.